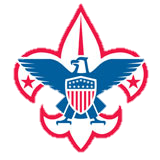 Troop 682 meets every Monday evening, from 7 p.m. to 8:30 p.m. at St. Bartholomew’s Episcopal Church (16275 Pomerado Road), except for most school holidays and Mondays immediately after a regular Troop camping trip (with occasional variations). 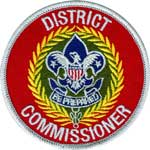 Mondays after camping trips are usually reserved for the Troop Committee (parents) and Patrol Leaders’ Council (Scouts) meetings. 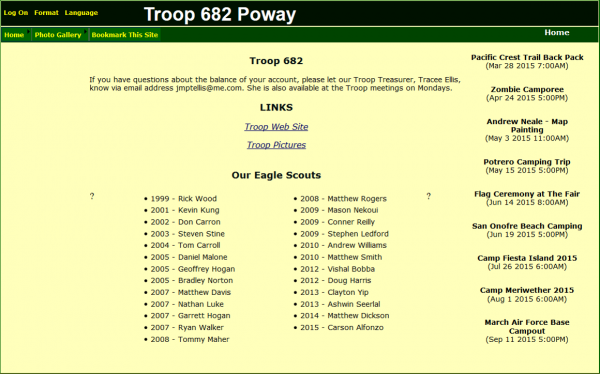 Four times a year the Troop holds Court of Honor. 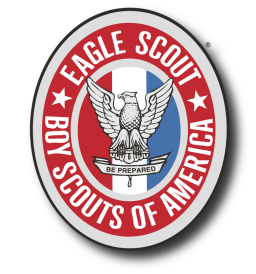 At the Court of Honor, boys are recognized for any rank advancement, merit badges, and other awards earned during the previous months. 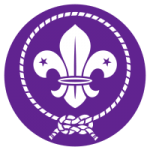 Scouts may “rank up” and wear a new rank at any time! Twice a year the Court of Honor is held in lieu of a regular meeting. The other two times it’s integrated in a camp-out or a troop meeting.